Eco Seaweed is organic powdered seaweed extract. 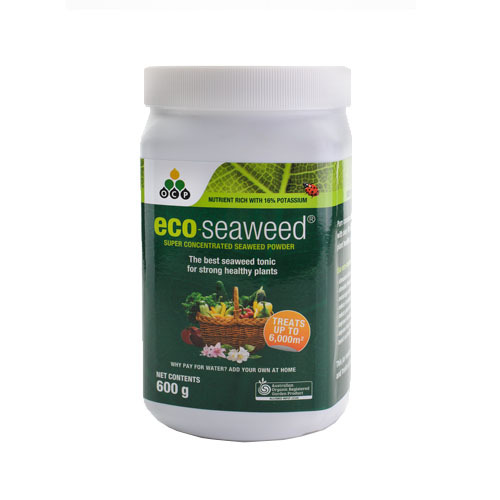 eco-seaweed increases plant growth, flowering & fruiting, enhances root development and reduces plant stress. Eco-seaweed contains no nasty preservatives, is 100% soluble and is highly concentrated. Available in 600g powdered concentrate pack. Eco-fungicide is a registered organic fungicide made from specially formulated food-grade potassium bicarbonate. Controls common fungal issues like Black Spot, Rust in two ways, Powdery Mildew. It rapidly attacks, then destroys existing infections. Eco Seaweed leaves an invisible coating to prevent new outbreaks. No withholding period when used on edible fruits, vegetables and plants. Can be applied with eco-oil for superior results. 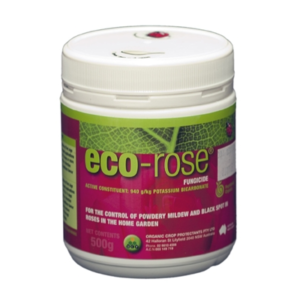 Eco-Rose is a registered organic fungicide for the control of Powdery Mildew, Black Spot and Rust on Roses. Made from specially formulated food-grade potassium bicarbonate it’s the perfect fungicide for use on roses. Apply with eco-oil for superior results. Available in a 500g concentrate pack. plant oils made from nonanoic acid. 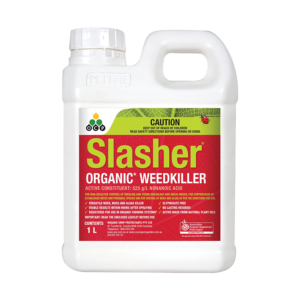 Slasher Weedkiller is non-selective and works on contact with the weed(not systemic). Slasher is effective all year round does not need heat or sunlight to work, is biodegrades in the soil within 3 days. Does not contain glyphosate and is salt-free. Available in 1L Ready-To-Use pack. Swagman 8ltr electric garden sprayer. Such a handy sprayer to have in your home or business it can be used for so many application. 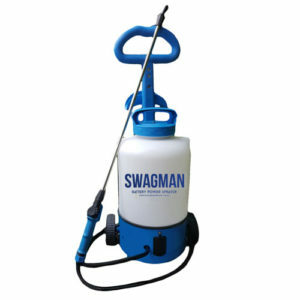 The Swagman Sprayer is distributed by Wilson’s Pest Control and all the warranty cover is back to base. All the components are available from the supplier in Sydney. The supplier has been in the garden business for 47 years and that tells you that they know what they are providing is of good quality and standard. All the metal on the sprayer is made from stainless steel so the unit won’t rust. The sprayer comes with a supply of spare so you need not worry about losing any parts. The spray is a great product for misting bird aviaries and so many other delicate applications in the garden. The sprayer is robust, has a rechargeable battery which lasts up to 1.5 hours of continuous spraying. The nozzle is easily adjusted to spray from a fine mist to long range direct spray. Pump: Mini diaphragm pump. 6 volt. scale, mites, aphids, whitefly, mealybugs and leaf miner. insects into our garden like ladybeetles, lacewings and many other beneficial insects. period. So it is safe for use on edible fruit and vegetables crops also reduces the risk of foliage being burnt compared to other mineral based sprays like white oil. 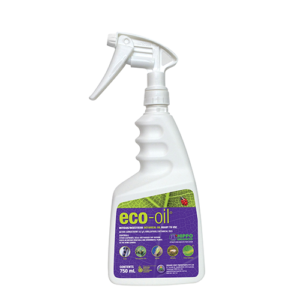 Eco-oil can also be used as an additive to improve and help stick to plants sprayed.